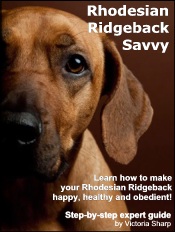 If you would like help with your Rhodesian Ridgeback click here to find out more! - C.Bigelow, rosemount mn. u.s.